So how can you make a game even simpler than Floaty Rog' or Flappy Bird? Just play Don't Push The Button and resist the temptation! Features: * one huge, bad and tempting red button * some more colors * a nifty timer * options and customisation even more useless than the game itself Stay tuned for the DLC extension pack that does nothing at all! 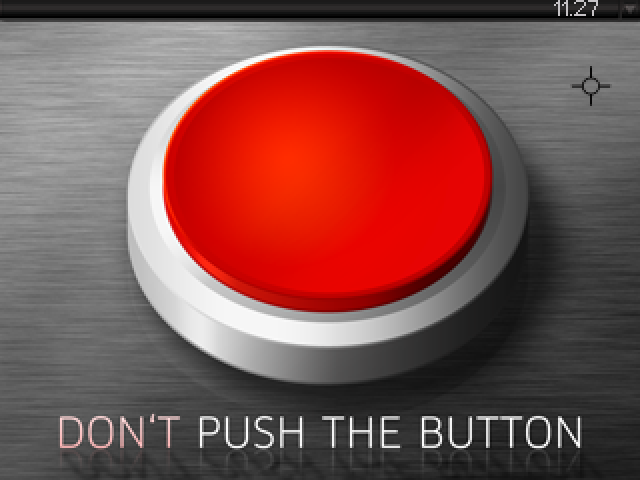 So if you're looking at this game, you're probably wondering "what happens if I press the button?" To explain that would spoil the whole purpose of the game, so you'll just have to find out. And see one of the best customisation options ever implemented in a game. Thousands of years of wisdom simplified in that Matisse-meet Dali-meet-Dadaism-game.